If you’re in the corporate world, you’ve heard about diversity. You’ve probably had some training on it so you can be more sensitive or some other nonsense like that. The way I see it, different strokes for different folks and that’s never been more true than in the rides we choose. Am I right? At the Optima Ultimate Street Car Invitational (damn that’s a long name!) 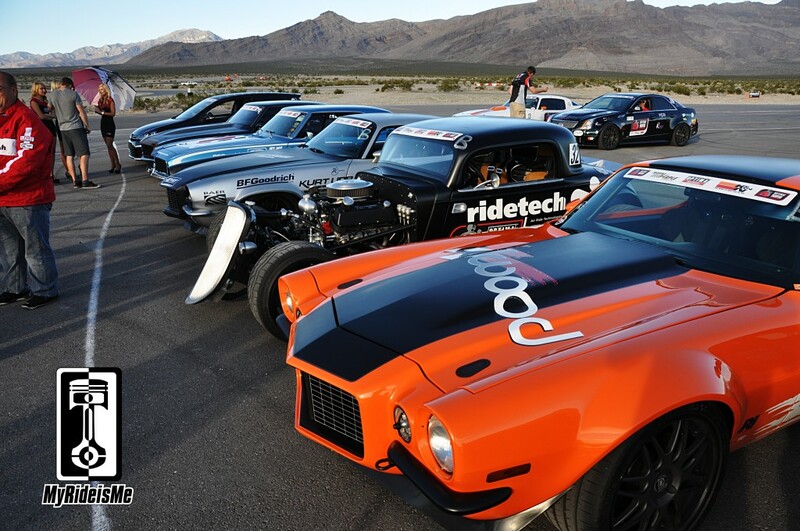 the race car diversity was on overload! Shown above, all racing in the same event: 3rd place finishing 2003 Mitsubishi Evo (yellow one barely visible), 1967 Pontiac, 2013 GTR, , a 2012 Audi RS5, 2012 Fiat Abarth, 1986 Porsche Carrera, and some others you’ll see in another photo. Right up front and a great example of diversity is the Pontiac. 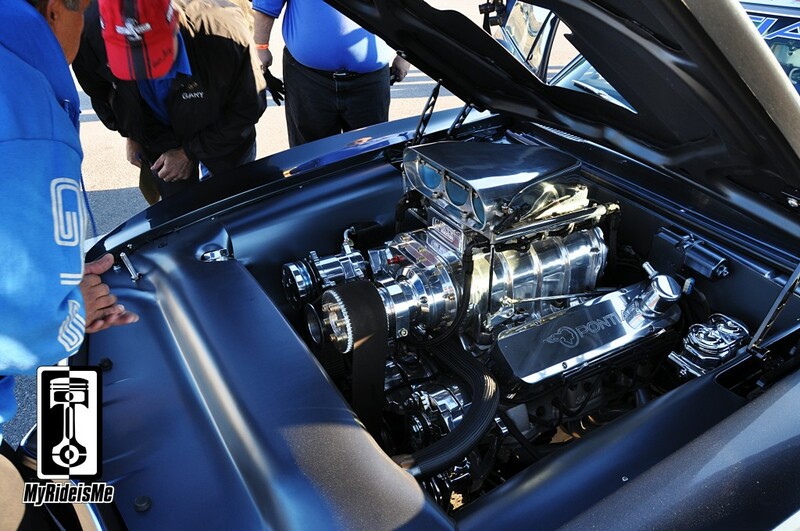 How often do you see this motor at an SCCA race? This blown 1967 Pontiac Firebird owned by Mike Ardito made hot laps on the track, did the autocross, the road race… and I think held it’s own in the performance and design competition! 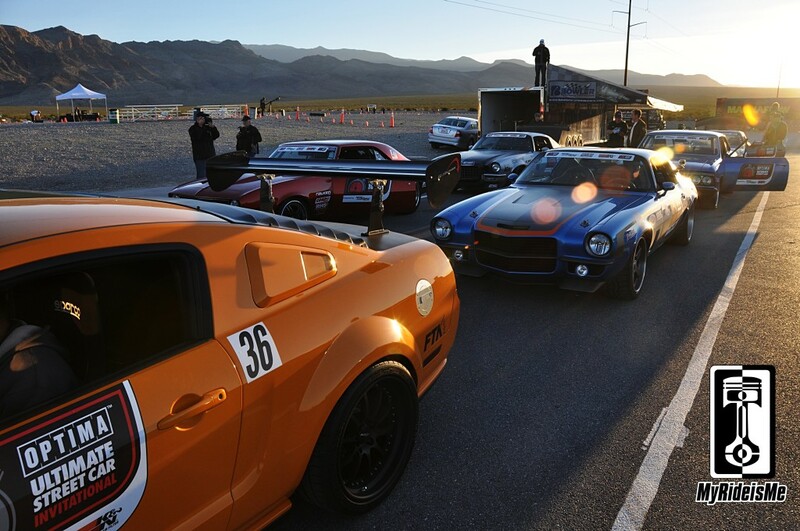 Todd Faust’s 1966 Mustang leads the way for this ridiculously diverse set of cars… the screaming orange Lamborghini is a 1500 HP twin turbo model from Underground Racing. Details on the Lamborghini here. Behind him is Rob McGregor in his No Limit Engineering 1970 Chevy C10 pickup. Rob’s truck performance was overshadowed by his generosity for the Wounded Warrior Project. More on that later. 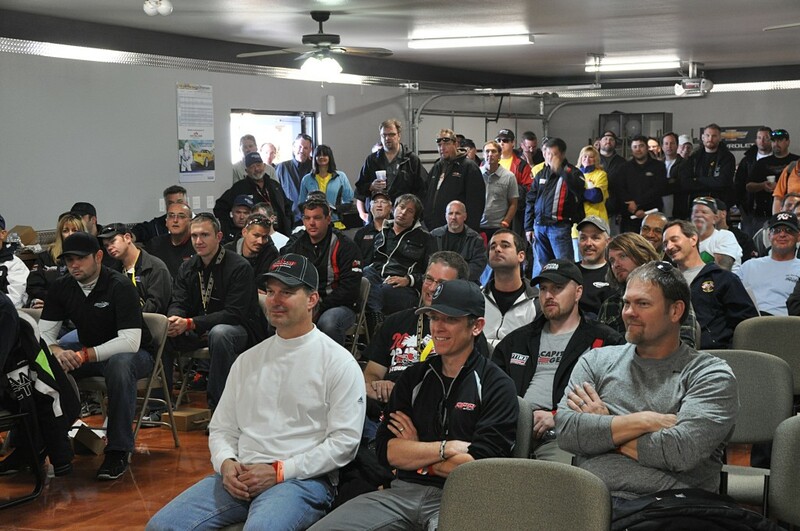 All the way in the back is Dave Pulley’s 2010 Shelby GT500. Young and old, exotic and working man’s truck. 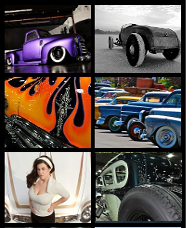 It’s a melting pot of hot rods! Who was the top finisher in this group? The Mustang took 12th overall followed by Rob’s C10 in 15th! Dig this shot from the early morning inspection line. New Mustang, 1st and 2nd gen Camaros followed by a fantastic looking 1966 Chevelle owned by Cole Quinn. When could you see this group at a race, car show or other? Maybe diversity isn’t nonsense? 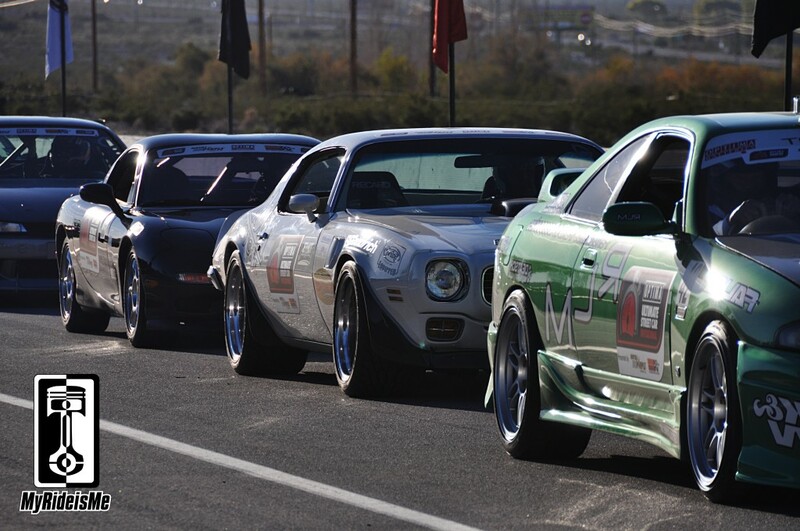 Up front is Ben Therrien’s 1995 Skyline, who smoked pretty much any time I saw him under boost; Then there’s the massive-tired 1979 Pontiac Trans Am owned by Pedro Gonzalez followed by an RX7. Rotary or V8 in there? Up front in the photo and in the race, it’s Brian Hobaugh’s 1973 Camaro outfitted by Wilwood, then Bret Vokel’s Ridetech 1933 Ford Coupe. These guys placed 2nd and tied for 3rd. Bret partnered with Rob McGregor to help the Wounded Warrior Project. Between the two of them, they donated almost $10k to the cause. Amazing generosity. 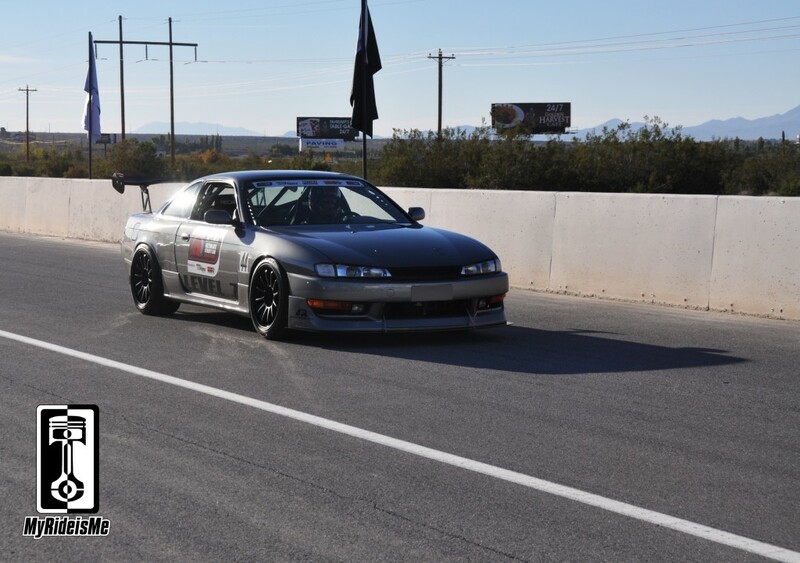 With an LS motor providing motivation, it’s hard to beat, but surprisingly, Jesse Vaughn’s 1997 240SX didn’t hit the top 25. Next year! 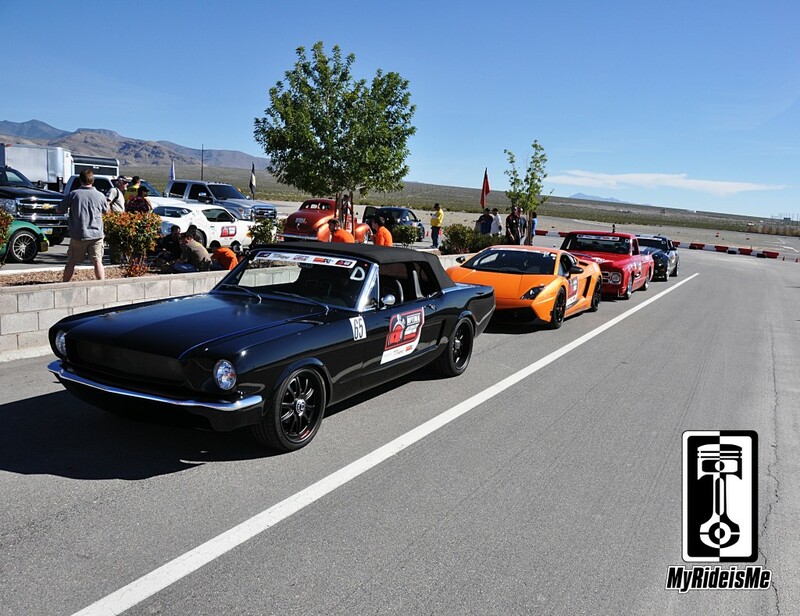 Yea, I still lean towards the old and hot rod-like rides, but as an event of any kind, the Optima Invitational had it all. Great, really world class SEMA cars, competitive racing action and a great group of guys driving their hearts out all day!